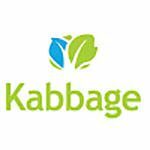 The Kabbage Team is here to not only fund the small business loans you need but to help you grow your business through free marketing tips, webinars, tools and more. Kabbage empowers small businesses through straightforward, flexible access to capital. We’ve extended more than $2 billion directly to small business owners and powered automated funding for other organizations all over the globe – all while maintaining a remarkably high laughter quotient.